We're over here needing a full dose of spring right about now! 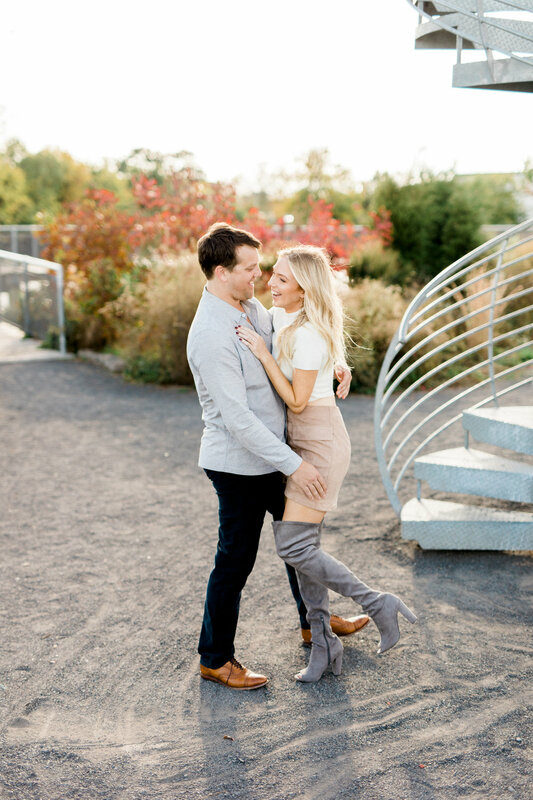 We loved the warm weather Alli + Josh had for their late October engagement session along Washington Avenue Pier in South Philadelphia! Even more, we loved the colors these two decided to wear- Josh in a textured cool grey button up and Alli in a super hip and unique lace up blush suede skirt with thigh high suede boots! Her mock neck white tee made her entire outfit look super chic, casual, and effortless! We can hardly wait for their wedding this summer!